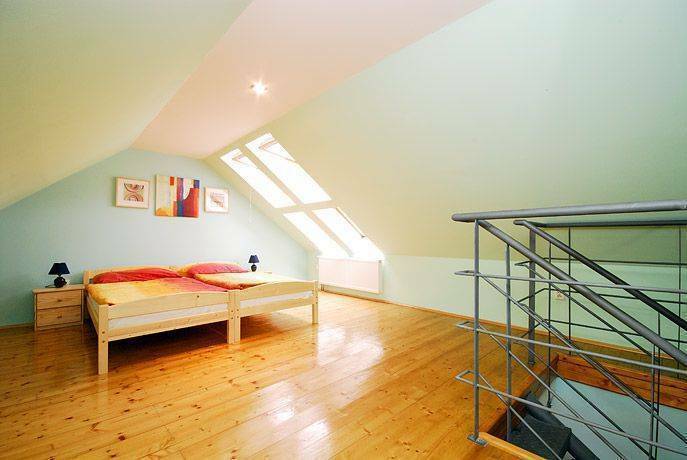 Low cost and comfortable accommodation in Prague, with easy access to the downtown. All appartments newly reconstructed (private bathroom, fully equipped kitchen, SAT TV). Suitable for individuals, families and smaller groups. Famous restaurant in the house incl. 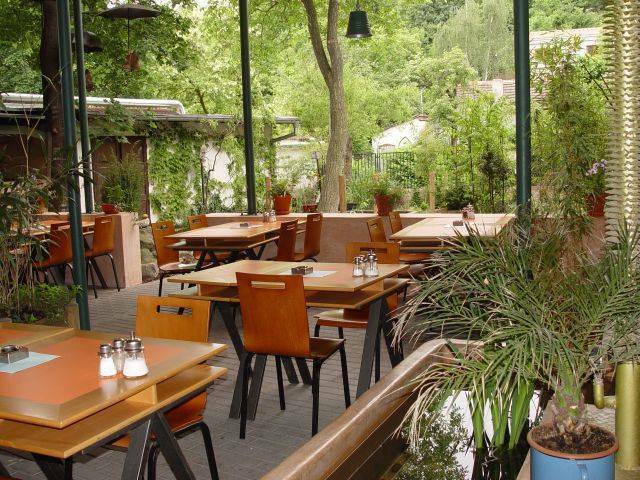 garden and open air grill. Breakfast upon request (delivery to the apartment) for a small fee. Parking in front of the house free of charge. 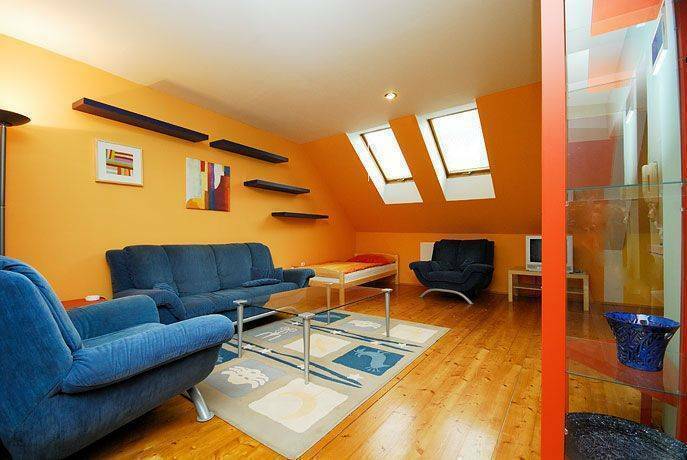 Apartments Magicka Zahrada (Magic Garden) are situated in a house built during the first quarter of the 20th century, in Prague 4 - Michle and they have started to be offered since June 2006. All apartments were completely reconstructed during 2006. All rooms have private bathroom, fully equipped kitchen and SAT TV. 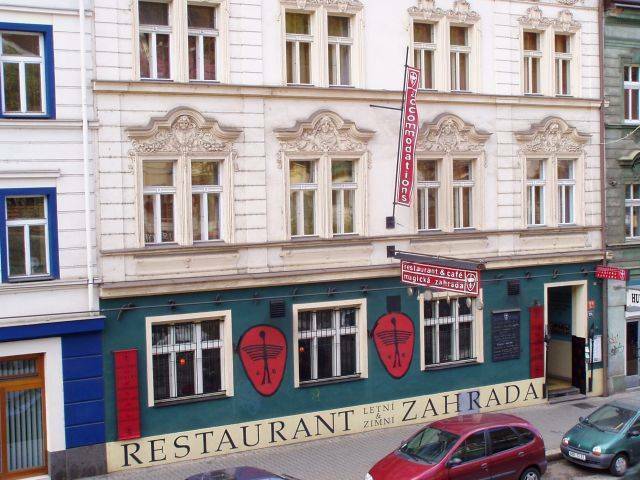 Famous restaurant with summer and winter garden, specialities from open-air grill, czech and mediterané cuisine, meetings, parties - weddings, graduations, birthdays, company parties, etc. Rates include local tax and VAT. Cancellation 24 hours before arrival (until 14:00 of the day before arrival) are free of charge. For later cancellations or by no-show we have no option but to charge the first night. The location of the apartments enables you to get to the downtown within few minutes. Tram Nr. 11 just 300 meters from the house. This tram goes directly to the Wenceslaw Square.